Jini Kim Watson’s The New Asian City is an exciting study of the dynamics between literary/cultural production and developing urban spaces in the context of East and Southeast Asia. Watson examines literary, filmic, and political representations of the capital cities of Singapore, South Korea, and Taiwan—three of the “Four Asian Tigers,” as the “Newly Industrializing Countries” (NICs) of East Asia are popularly known—that emerge in the 1960s to 1980s, in the periods following independence (excepting Hong Kong, which is not independent nation). The historical period of the 1960s to 80s is notable, as Watson points out, in the degree of urban development that took place in Singapore, Seoul, and Taipei and the roles that these cities played in the depictions of their respective nations as hyperdeveloped economic successes. Besides drawing necessary critical attention to geo-political contexts that are conspicuously absent in existing postcolonial studies and reminding us that postcolonialisms exist in the plural, Watson astutely demonstrates the importance of space for understanding postcolonial historical development as well as the significance of “New Asian City literature and film” for understandings of the relationship between (post)colonialism and globalization. Readers from a variety of audiences will find something of interest in Watson’s study. Besides the fields the author identifies as central to her transdisciplinary method—literary, architectural, urban, and film studies—those from Asian studies, gender studies, comparative studies, and critical international relations will also find various chapters in The New Asian City compelling. Throughout the monograph, Watson studies the “logic and form of developmental spaces—accessed through the fictional text—rather than the sites or buildings themselves as empirical objects in space” (5, original emphasis) in Singaporean, Korean, and Taiwanese literature and film. Rather than taking literature as a “vehicle of transparent expression” (6) however, The New Asian City examines what literature can tell us about the “unevenly productive role of spatial relationships” (7) and “traces broader homologies between narrative form and urban environment” (11). For Watson, attention to the ways space and built environment are represented productively keeps in tension the textual and the material. As Stuart Hall reminds us, the paradox that “culture will always work through its textualities” and yet “that textuality is never enough” must be maintained in order to not lose sight of “intellectual practice as a politics” (272). These examples of the “New Asian City,” a term that Watson borrows from architectural critic Jeffrey Kipnis, exemplify a new model of development in which the city is a productive site of capital, labor, and national subjectivity (2) and intervene into the manner in which postcolonial culture and experience has been theorized by accounting for the spatial configurations that accompanied the economic development of these postcolonial nations (8). Watson rightfully reminds us that the postcolonial condition is not just about anticolonial liberation or the reclaiming of indigenous perspectives, but also about the “effort of postindependent states to transform their political economies under the newly minted banners of nationalism” (89). Perhaps most importantly, in the face of the more typical explanations of these so-called “Asian Miracles,” Watson’s study refuses a triumphantalist or exceptionalist account of these New Asian Cities and instead situates Singapore, Seoul, and Taipei as “the profound product of the age of three worlds” rather than an exception to it or as “winners” of globalization (253). Watson’s monograph is divided into three chronologically ordered parts—“Colonial Cities,” “Postwar Urbanism,” and “Industrializing Landscapes”—and the author provides transition chapters at the ends of Part I and Part II to explain the necessary context and rationale behind the conceptual moves that are made. The opening chapter “Imagining the Colonial City” highlights the centrality of the colonial city in the production of localized social relations between colonizer and colonized, as well as the colonial city’s role in making territorial distinctions within a world system. For those unfamiliar with spatial analysis and its relation the production of colonial power, Chapter One is a useful primer. Chapter Two, “Orphans of Asia: Modernity and Colonial Literature,” draws on Edward Said’s notion of the “discrepant” as a means of revealing the “everyday level existential contradictions of modernity that in turn put new demands on literary forms” (54). Watson accomplishes this though a comparative reading of Korean author Yŏm Sang-sŏp’s 1924 novel Mansejŏn, Taiwanese writer Wu Zhouliu’s 1945 novel Orphan of Asia, and Korean writer’s Yi Sang’s 1936 novella The Wings, texts that offer representations of modernizing and colonial urban spaces. Part II centers on a historical period in which these NICs begin to differentiate from other postcolonies by “exploit[ing] . . . the neocolonial arrangement of global capital” (93). Watson asks what the literature of this postwar period theorizes about this shift and the ways that subjectivity is imagined within this new global arrangement. Chapter Three, “Narratives of Human Growth versus Urban Renewal” examines fiction that, in different ways, adopts the bildungsroman form: Korean writer Cho Se-hŭi’s short story “A Little Ball Launched by a Dwarf” (1978), Singaporean novelist Goh Poh Seng’s If We Dream Too Long (1972), and Taiwanese Huan Chunming’s story “The Two Sign Painters” (1974). Watson’s choice to focus on developmental narratives during a historical period characterized by urban growth poignantly draws out “tensions between youth and stability, individual and world, but . . . against a wholly different notion of growth” (100). Chapter Four looks at a seeming paradox that the postcolonial New Asian City woman faces: that despite modernization and industrialization, gender relations appear to remain largely unaltered (137). Through readings of Kang Sŏk-kyŏng’s novella “A Room in the Woods” (1985), Su Weizhen’s short story “Missing” (1988), and Su-chen Christine Lim’s novel Rice Bowl (1984), Waston argues that although it may appear that gender relations have not changed, a closer attention to “new spatial arrangements of public and private space” (137) suggests the way that gender hierarchy is recomposed and that the New Asian Woman does not experience the same industrialized feminist consciousness as with the Euro-American context (134). Throughout, Watson’s readings make intriguing connections among the hyperdeveloping contexts in which these texts were written. Her analyses reveal a depth to the literature that indeed challenges “the monolithic logic of the production-orientated New Asian City” (95). Part III, “Industrializing Landscapes,” examines the significance and effects of modernizing built forms that were hailed as necessary to secure the nation’s future (175). Unlike with the previous two parts, the chapters in Part III each deal with a separate national context, but Watson maintains her comparative focus by making links throughout her analyses. Each chapter looks at speeches and writings by former heads of state as well as literary and filmic texts that highlight “roads, planning, and infrastructure of national modernization programs” to very different, if not often competing, ends (175). Using Lee Kuan Yew’s memoir, The Singapore Story, as a point of departure, Chapter Five “The Way Ahead: The Politics and Poetics of Singapore’s Developmental Landscape” looks at the effects of Lee’s nationalized project of urban development as they are reflected in the poetics of Edwin Thumboo and Arthur Yap. Watson contends that the distinction between the two poets as propagandist and ironist oversimplifies their writings, suggesting instead that the difference between the two can be better explained in terms of the significance of Singapore’s developmental landscape (187). Chapter Six “Mobility and Migration in Taiwanese Cinema” reads the early films of Hou Hsiao-Hsien against speeches and writings of Chiang Kai-shek that extoll the benefits of urbanization and the Kuomintang’s emphasis on infrastructural development. Watson proposes that Hou’s films, with all their long shots that define characters by spatial location rather than individuality or personal agency, reflect what she calls a “sideliner aesthetic” (221). Though this aesthetic is a reflection of a particular social condition, the concept is a useful one that extends beyond the New Asian City context. Chapter 7, “The Redemptive Realism of Korean Minjung Literature,” compares former Korean president Park Chung Hee’s speeches on the modernization of houses and roads, which he believed essential for a prosperous future, and his general belief in the importance of material development with Hwang Sŏk-yŏng’s “The Road to Sampo.” In her reading, Watson shows how national consciousness arises through processes of modernization and infrastructure (239). She proposes that Hwang’s fiction reflects a “redemptive realism” that highlights how “new environments encrypt a social process that then is the ground for shared experiences and eventually solidarity” (245, original emphasis). Such a term invites us to think about the ways that the development of New Asian Cities such as Seoul can act as a generative rather than repressive force. There are many strengths to The New Asian City, but two aspects are particularly striking. The first is Watson’s aesthetic analysis which is, at all times, attentive to political, historical, and cultural context. 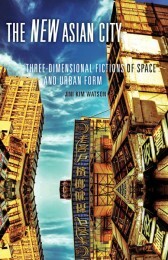 For those working in postcolonial studies, Watson’s attention to and naming of different aesthetic forms that emerged from the rise of the New Asian City may be particular intriguing, especially in light of a recently published interview with Robert Young who argues “the aesthetic qualities of postcolonial literature tend to be sidelined” (Noske 5). Watson’s thoughtful close readings draw our attention to the craft of postcolonial expressions. At the same time, Watson never loses sight of the political significance of these texts how they index momentous changes both in the world and in their national settings. The second aspect of the monograph worth further comment is Watson’s comparative method. The level of analytical depth that Watson is able to perform on the basis of her comparison of three sites is impressive. She certainly makes a convincing case for the New Asian City as a productive analytical category that allows us to better understand the effects of developmentalism. Moreover, Watson applies a meticulous attention to detail to each of the different contexts. Certainly the study is an ambitious one for its wide coverage of national contexts and genres, but Watson does not disappoint. The New Asian City a great contribution that demonstrates new directions in cultural theory and it is exemplary for its rigorous reading, theorizing, and historicizing. Hall, Stuart. “Cultural Studies and its Theoretical Legacies.” Stuart Hall: Critical Dialogues in Cultural Studies. David Morley and Kuan-Hsing, eds. London: Routledge, 1996. 262-275. Print. Noske, Catherine. “A Postcolonial Aesthetic? An Interview with Robert Young.” Journal of Postcolonial Writing. 12 Nov 2013. Web. 9 Dec 2013. Cheryl Narumi Naruse is an Assistant Professor of English at the University of Dayton, where she teaches classes in postcolonial literature and literary theory.